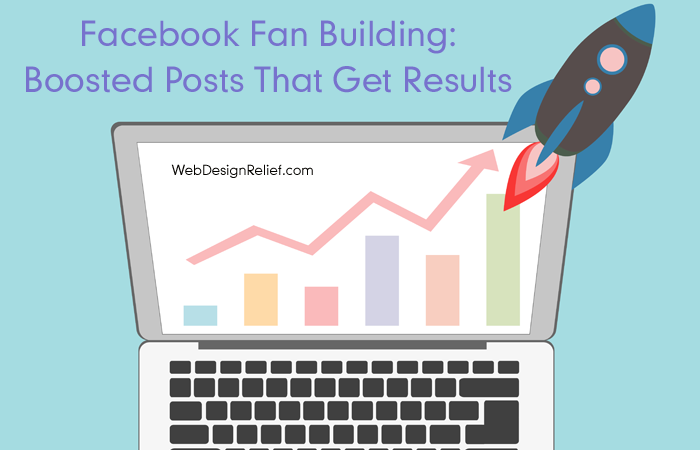 Maybe you’ve set up your Facebook Author Page and are posting regularly, but you’re not getting the results you hoped for. Or maybe you’re a social media newbie and you don’t know the first thing about building a fan base. Fortunately, Facebook offers some easy-to-use options to increase the visibility of your posts, improve engagement, and create new fans. One of the simplest ways to help your post reach a larger audience is to give it a boost! Q: What is a Boosted Post? A: A Boosted Post is any post on your Author Page’s timeline that you “boost” by paying for increased visibility. Q: How much do Boosted Posts cost? A: You can set your own budget for Boosted Posts. Facebook provides several options, ranging from $5 to $500, or you can set your own budget. Q: How long will my post remain boosted? A: You can set the duration of your Boosted Post for anywhere between one and seven days. Your budget will then be divided evenly across that time. For example, if you set a budget of $5 and duration of two days, Facebook will use $2.50/day to boost your post. Q: Who will see my Boosted Posts? A: There are three options you can choose from to determine who will see your Boosted Post: people who Like your page; people who Like your page and their friends; or people you choose through targeting. If you select the last option, you will be able to customize the targeted audience by location, age, gender, and specific interests. Q: Will Boosted Posts help me get Page Likes? A: Not necessarily. The goal of a Boosted Post is to increase engagement—that is, Likes, comments, and shares of a single post. People who see your Boosted Posts will have the option to like your page, but increasing page likes isn’t the goal of a Boosted Post. If you want to increase page likes using paid advertising, start a Facebook Page Like Ad Campaign. Q: Will mobile users be able to see my Boosted Posts as well? A: Yes, Boosted Posts will be served to people regardless of what device they use to view Facebook (e.g., desktop, Smartphone, tablet, etc.). Q: How often should I boost my posts? A: A good rule of thumb is to try a few at a low budget (even $5) for one to two days and see how well they do. By checking the results, you can learn the best days and times for you to boost a post. While there isn’t necessarily a downside to boosting frequently, some posts will naturally lend themselves to engagement more than others. By focusing your efforts, you won’t waste your budget! Q: What kind of posts should I boost? A: Boost posts that will build your author brand: posts about reading dates, book signings, contests that you’re hosting, your latest informative blog posts, etc. Pro Tip: If you have a blog on your author website, you should definitely boost posts that link to any blog articles that encourage interaction and sharing. Q: Should my Boosted Posts have images? A: Statistics show that posts containing images generally see higher engagement than those that do not. Q: Is there anything else I should know before I boost my first post? A: First-time boosters may not fully understand how important it is to choose the right demographic. Know your audience: Consider who your fans might be, when they are most likely to be active on Facebook (so they see your boosted post), and what they are likely to be fans of. For example, if you write horror and suspense, you might want to target people who are also fans of Stephen King, the horror genre, Alfred Hitchcock, etc. Try different combinations and see what works best. Boosted Posts aren’t the only way to improve your reach. Cross-promotion is also a phenomenal way to build up your interactions on Facebook. Integrating social media into your author website can also be effective. And make sure to share your page’s (public) posts on your personal (private) timeline. Remember: If you’re willing to put in the time and effort, you don’t necessarily need to advertise on Facebook. Many writers have seen their posts go viral without advertising. Some writers can build their reach organically, relying on their followers and fans to share their posts. Consider boosted posts to be a tool, but not the only tool available for increasing your fan base. QUESTION: Have you ever boosted posts on Facebook? Share your experience in the comments below! ← Inbound Marketing For Authors: What Is Inbound Marketing? I love that Facebook allows the author to choose their audience, set a budgeted amount and time frame. I’ve tracked a corrolation between different method of promotion for my first Yarn Genie Mystery and Facebook post boosting definately gave me the most bang for my buck.